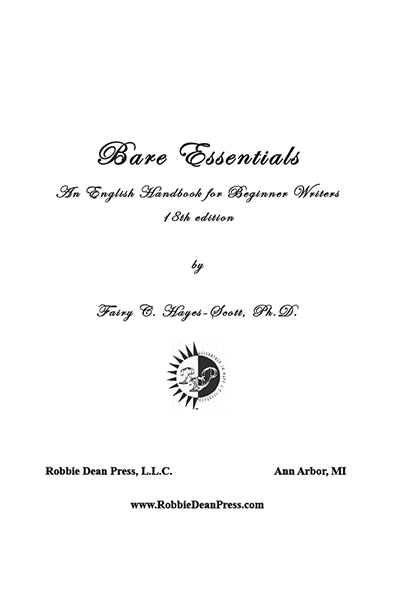 Bare Essentials: An English Handbook for Beginner Writers, 18th ed. 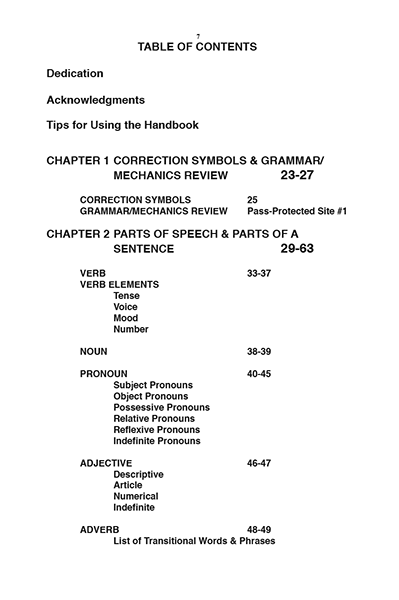 AN ENGLISH HANDBOOK FOR BEGINNER WRITERS, 18thed. by Fairy C. Hayes-Scott, Ph.D. Author: Fairy C. Hayes-Scott, Ph.D.
Special Donation: Yes, 25 or more books ordered, RDP donates a percentage of the RDP profit of the order to the school, college, organization, or charity of choice of the individual who has initiated the order. Subject-Verb Agreement? Pronoun-Antecedent Agreement? Dangling Modifiers? Subordinating Conjunctions? And just when should a comma be used? Suggestions for the development of a theme, research theme, and research paper? Bare Essentials, 18th edition answers these questions and more! 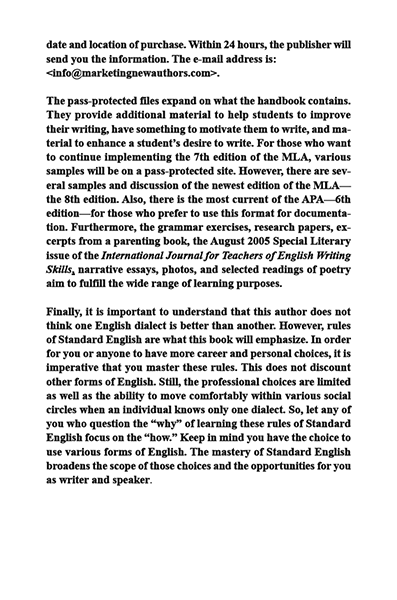 It is one of the most comprehensive handbooks covering the most basic information regarding the English language—parts of speech—to the more complex—the writing of paragraphs, themes, research themes, and research papers. 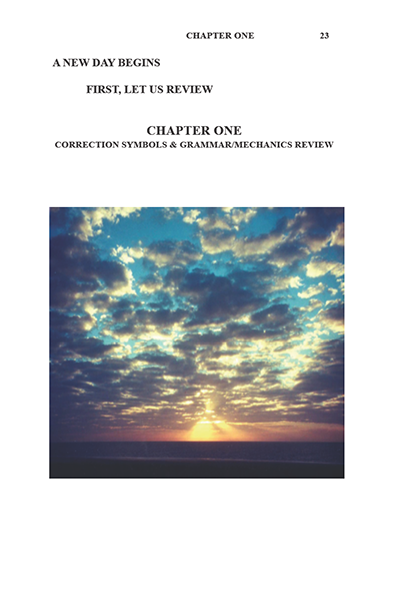 This handbook is for grades 9 through college. This 18th edition is comprehensive update of a student-centered guide for the language use success of any person who opens its pages. It is set up for student use, but the material covered can benefit those who have long left the classroom. 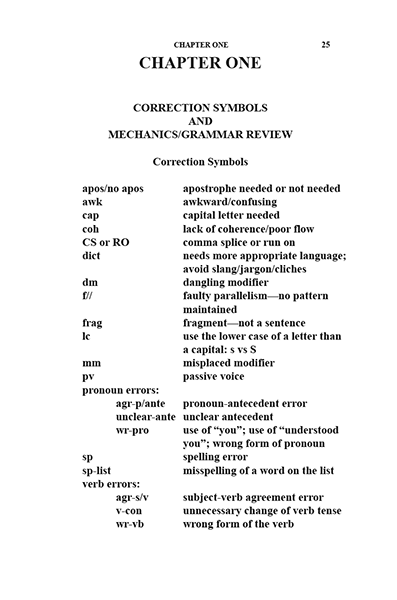 It covers the very basics of English (part of speech and various rules of grammar and punctuation) to the more complex (the writing of paragraphs, themes, and research papers). 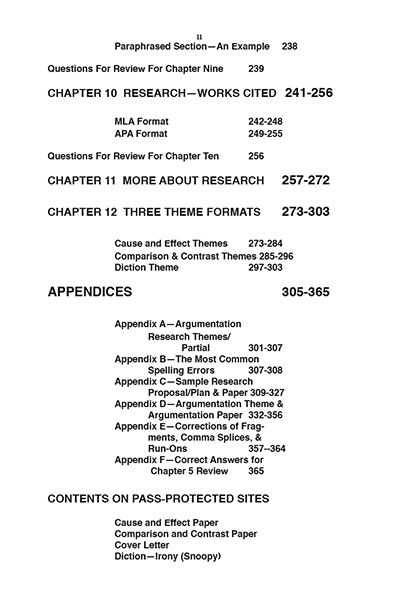 There are two pass-protected sites that are parts of the handbook (yes, included in the price) that contain grammar exercises, student narratives, extensive information about the most current MLA and APA formats, and research papers. Also, there are color photos and interpretive readings of poetry. These items can serve as catalysts for various writing assignments. 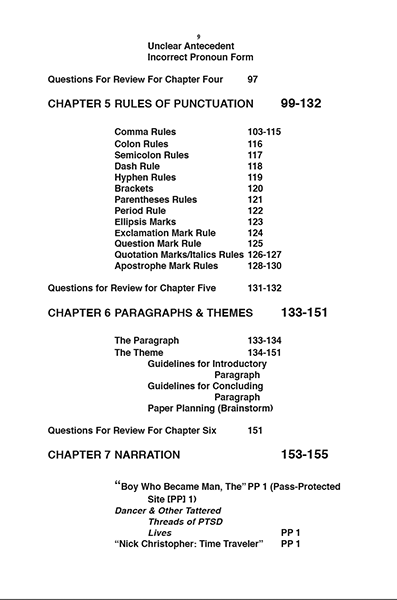 Also, this book implements unique methods to teach some of the most common items when writing—comma rules. There are drawings that work to illustrate these rules. Any method is used, traditional or progressive, to make this handbook a true resource for different learning styles—audio, visual, or tactile. 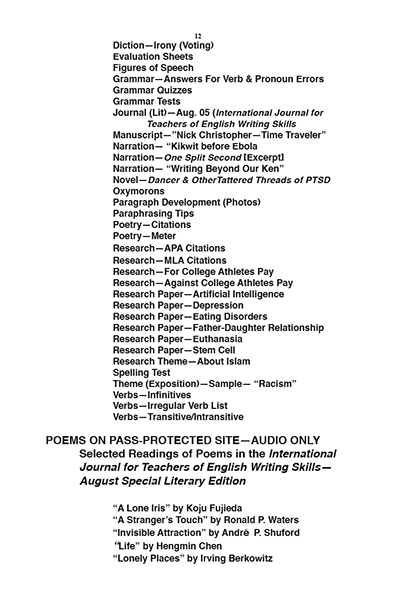 As noted there are two pass-protected sites that contain grammatical exercises, color photos that can serve as catalysts for writing exercises, audios of interpretive readings of poetry, and podcasts that discuss grammatical aspects, methods for developing research themes and papers, and the formats for setting up works cited entries (MLA and APA styles). 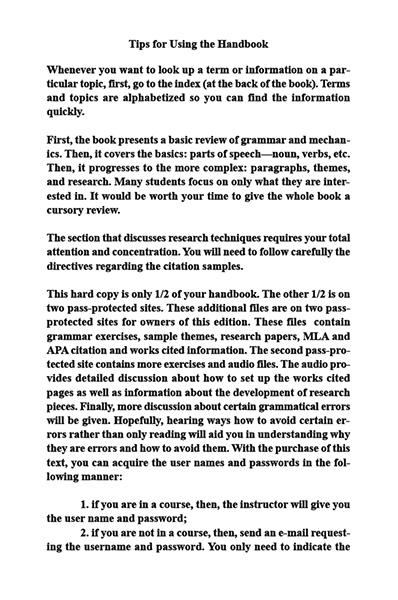 This handbook uses writing examples by actual college students of the author. There are more examples than were in the previous editions. 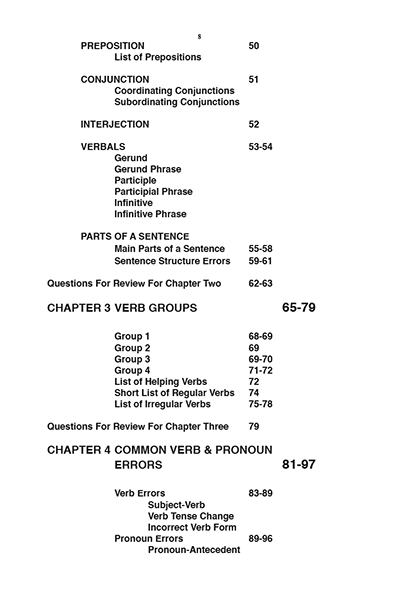 These examples are in the print and digital features of the handbook. 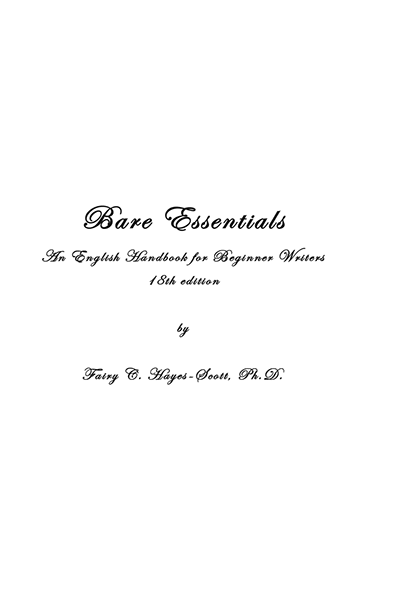 So, the 18th edition of Bare Essentials: An English Handbook for Beginner Writers is one of the most comprehensive handbooks presented as of this date that meets the academic and social needs of a wide range of students! 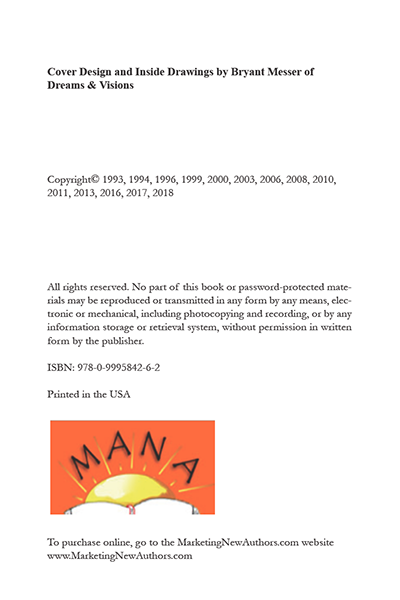 It has been written based on many of the suggestions made by the authors’ many students. And the years of teaching experience by the author have helped her in the development of this work. This handbook is for anyone who wants a work s/he can quickly consult or go into depth to understand a facet of writing. Indeed, this handbook can be an administrative assistant’s best resource! This text works well as an individual resource for administrative assistants, teachers, and students. In educational settings it can be used from grades 9 through college. It functions very well, but, not exclusively, in community college settings. There is flexibility with this handbook. 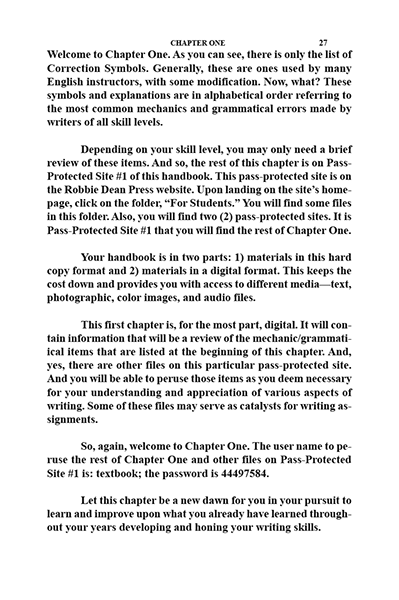 Any instructor who chooses to use this text can have his/her work included on one of the pass-protected sites. Thus, Bare Essentialscan be customized for an instructor’s use. The publisher can add material on the pass-protected sites that will meet every instructor’s personal needs for teaching his/her students. There is a potential for the educational institution or home school organization that chooses Bare Essentials,as one of its texts to garner funds from Robbie Dean Press. 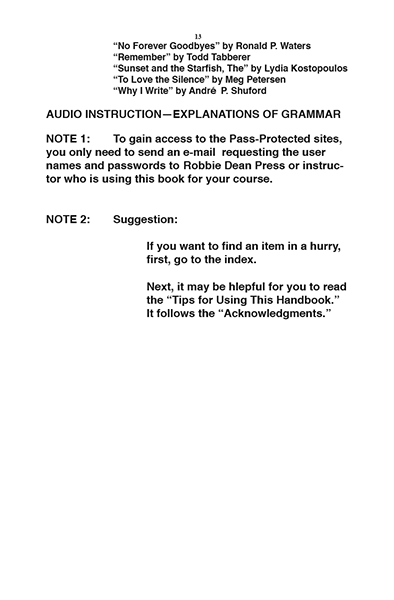 Robbie Dean Press donates 10% of the amount paid to the publishing company by the educational institution’s bookstore of the instructor who adopts this handbook or any other book published by MarketingNewAuthors.com or Robbie Dean Press. This handbook has evolved. 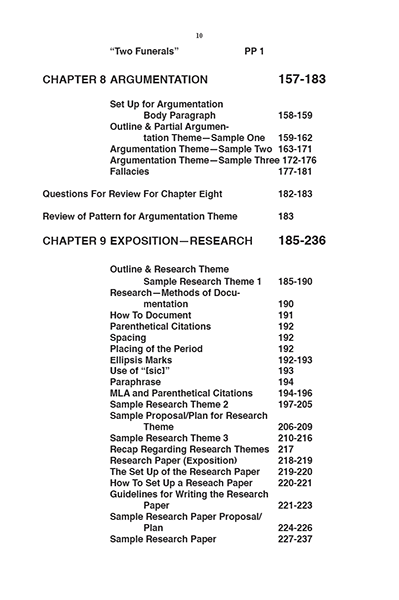 The author has added, kept, and eliminated items based on the author’s many students’ advice. 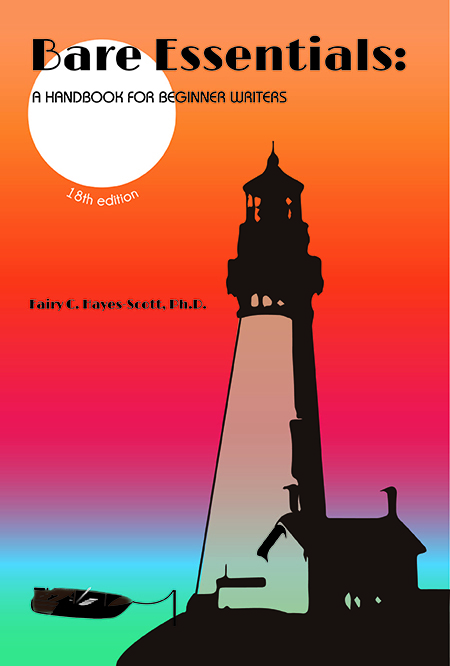 Bare Essentials, 18th edition is a student-oriented text. For more details, please contact the publisher, Robbie Dean Press, at 734-973-9511 or MarketingNewAuthors.com at 734-975-0028. Dr. Fairy C. Hayes-Scott, is an author of five (4) books and editor of countless more. She is a college professor of literature and composition at Mott Community College (Flint, MI) for over forty years. She has also taught American Sign Language courses and lecture courses focusing on Deafness. She has initiated and taught the only college English composition course exclusively for Deaf students in the state. And, reportedly, it was the only one of its kind in the country. Dr. Hayes-Scott is a consultant and motivational speaker and blogger. She has served as a consultant for an innovative summer six-week academic enrichment program for Detroit Public Schools Deaf students, entitled “Direct Success.” Also, Dr. Hayes-Scott serves as a consultant for college students who require guidance to improve English writing and speaking skills. On a part-time basis for Eastern Michigan University, she served as a supervisor of student teachers. And because of her excellence in teaching, based on the recommendation of students and faculty, the Board of Mott Community College has named a room after her. And her blogs have served as a metaphor of a teacher in a classroom (captain over her crew of young officer trainees), helping them hone their skills so that they will be able to take over in their various professional (naval) experiences. Most recently, Dr. Hayes-Scott has launched a different kind of blog that is in a diary format. It, too, has garnered many followers. In addition to her professional commitment to her students, she owns a traditional/textbook publishing company and a self-publishing/marketing publishing company. Dr. Hayes-Scott has over twenty-seven years of publishing experience. The varied occupations and skills of Dr. Fairy (as she is fondly referred to by many of her students and clients) have made her a well-rounded author who implements theory and practice as a college instructor and author.